The Étude is a physical match for the Dave DAC and Blu II CD player / scaler and it sure packs a punch. In fact the reference above to them all needing a good run-in actually seems like complete bolleaux when you hear how these are sounding fresh from the boxes. The arrival of the speakers had been delayed whilst Kudos awaited the ‘in-the-deal’ stands. We got bored waiting and had the speakers arrive ahead of the delaying metalwork. Showing our usual impeccable good taste, we put, or more accurately, perched the Kudos speakers on some Dynaudio stands to get things underway. It’s OK, no-ones going to knock them. Anyway, these little blighters on this minuscule power amplifier are sounding utterly splendid, incredibly spacious, very, very resolving and great fun too. Tomorrow, the Melco N100 small footprint server rolls up too. Welcome to the world of high end micro system for grown-ups! We’ve cabled it up with True Signal cables, in case you are interested . . . 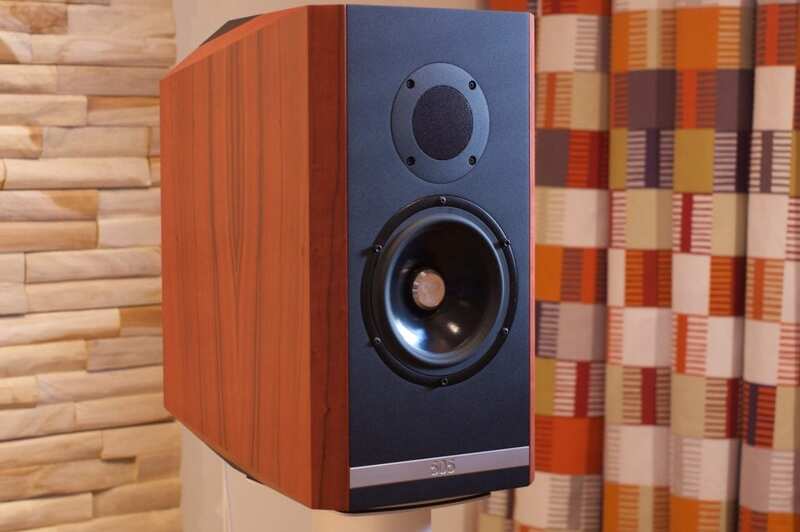 Both the Titan 505s and Chord Étude will be at Audio Show East 2nd and 3rd November. Ignore them at your peril! A couple of days on and we, well, certainly I, am struggling to tear this system apart to try other combinations. I played it yesterday to one of our active system owning customers for whom ‘flies stamp their feet’ and he seemed to be mightily impressed. There is a 1960’s recording of A Hymn to the Virgin by Benjam Britten that we’ve taken to using as a test piece over the last few years. I believe it was recorded in London and there is a certain amount of traffic noise outside the venue. The choir is split into two groups and, when presented well, there is a large acoustic, two tangible groups of singers in different locations and a very real sense of traffic noise and general ambiance in and outside the building. Since spacial cues are predominantly in low bass, this has always been most persuasive on large, extended, loudspeakers. 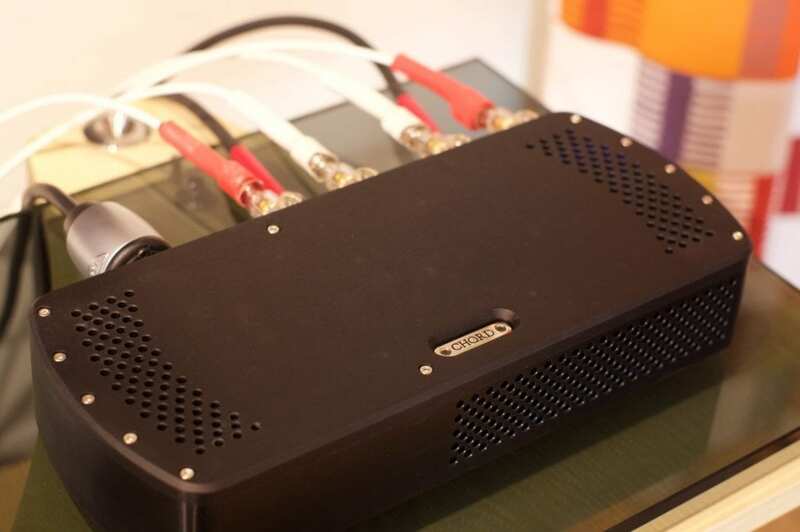 So here we have some fairly compact stand-mounts, driven by a stupidly compact sub £4k power amplifier in turn driven by a Dave DAC connected to a Melco N1Zh server and sense of the acoustic is palpable. The voices are realistic, rich and sonorous, all separate and the two groups of singers definitely out there in front of you in different locations. Outside the building there is the gentle hubbub of traffic which you assume is from Trimley High Road until you pause replay. When it stops dead. Rockier, more upbeat music is handled magnificently too. Given that these are small loudspeakers, the babies of the range, there are limitations to the absolute level of loudness. This is hinted at more by the onset of slight port chuffing more than distortion or obvious compression. Beyond that, it’s an awful lot like an open window into another place. In fact they manage to transport you into that other place.